Christmas markets, street markets and pop up markets, together with the Christmas lights in the streets and squares, are the main reasons why a great festive atmosphere is created in each city in countries where it is traditional to celebrate the arrival of Christmas. 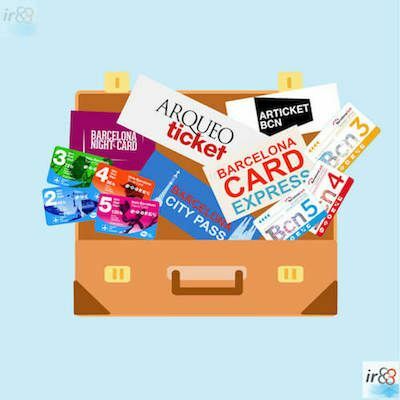 In Barcelona, just like many cities in Catalonia and the rest of Spain, it is common for the first markets to open at the end of the month of November and, the last of them, to extend their dates until the weekend or, even, the night before the Three Kings Day, 6th January. Among the many Christmas markets, a subtle difference can be made between the historical markets, some of which are more than 200 years old, and the Christmas street markets and the more modern pop-up markets, which have grown in popularity in recent years. 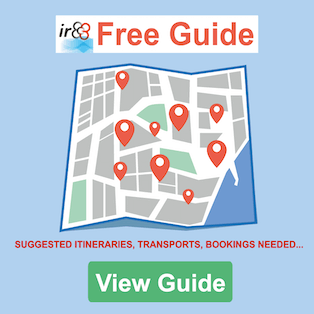 In this section of our website you will find information on all of them, as well as the dates in which they are held in 2019 and a map so that you can easily locate them. The three most historic Christmas markets in Barcelona are; the Fira de Santa Llúcia, the most well-known of all three and that has been held since 1786 next to Barcelona’s Cathedral, the Sagrada Familia Christmas Market, that as its name indicates, takes place next to the magnificent building by Antoni Gaudí, specifically in plaça (square) de La Sagrada Familia, and the Kings’ Market on Gran Via (Fira de Reis de la Gran Via in Catalan), which covers several stretches of the street Gran Via de las Corts Catalanes. Each of these Christmas markets are held over several weeks. The Fira de Santa Llúcia and the Sagrada Familia Christmas Market open at the end of the month of November while the Gran Via Kings’ Market opens a few weeks later and lasts until the night of the Three Kings. Even so, for some days before Christmas Day, the three historical Christmas markets of Barcelona overlap. What to buy at the Historical Christmas Markets? 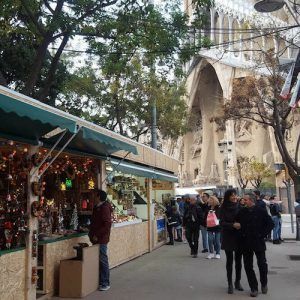 The items that can be bought at these three historical Christmas markets in Barcelona are quite similar, but there are some significant differences. The Christmas markets that open in the month of November and finish one or two days before Christmas Day (Fira de Santa Llúcia and the Sagrada Familia Christmas Market), have many Christmas trees, Christmas decorations of all kinds to decorate the home and, of course, the traditional nativity scenes (“pesebres” in Spanish) and different figures and accessories to improve them. Also, there is a space dedicated to gifts to buy, which in most cases are hand-made and artisan products. In terms of the market of Magic Kings along Gran Via, it is shared, almost equally, between stands dedicated to toys and other gifts for children and stands that offer all kinds of ideal gifts to give on the Three Kings Day. Also, there is no shortage of stands offering sweets and knick-knacks and, of course, the typical churros stands. 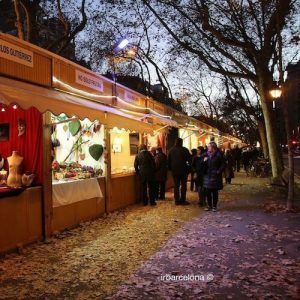 In addition to the traditional Christmas markets, in Barcelona and especially in recent years, different Christmas street markets and pop up markets have become very popular in different parts of the city. They are usually organised in all kinds of places, in many cases picturesque and/or charming places, whether covered inside buildings, businesses and/or historical palaces or in the open air in squares, streets, parks or gardens. Most of the time, they usually only last for a short period, two or three days, and are held over a weekend. It is also common for some of the street and pop up markets that are often held regularly throughout the year, to organise a Christmas edition. What to buy in Barcelona’s Christmas street markets? 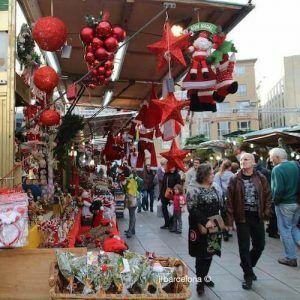 While it is true that each Christmas street market has its own idiosyncrasy, it is no less true that they tend to all have the type of items that are usually sold in Christmas markets. Generally speaking, gift items are sold, normally artisan. Many of them are accessories, jewellery and Christmas decorations, but you can find almost anything. Depending on the Christmas street market, you can find all kinds of products, while others focus especially on design items and/or of a certain economic value.